In January of 2000 I moved to the University of Michigan from the University of California at Irvine to be Dean of the School of Information. That was the best job I have ever had, working with the best people you can imagine. I moved to the University of Michigan Provost's Office in June of 2006 to be Vice Provost for Academic Information, working with the university's IT infrastructure, libraries and other knowledge assets. In 2010 I became Vice Provost for Strategy, working on new directions for the University of Michigan. I returned to the SI faculty full time in at the beginning of September, 2011. In addition to university activity, I have been involved in a variety of projects. I was a member of a National Research Council project titled Future Science Opportunities in Antarctica and the Southern Ocean that took me to Antarctica in 2011. I was on the Council of the Computing Community Consortium (CCC) from 2007-2010. The CCC was established by the National Science Foundation through the Computing Research Association (CRA) for reasons you can find on their website. (I was on the Board of the CRA from 2003-2005.) I have been a member of the Advisory Committee for Cyberinfrastructure, the Advisory Committee for the Social, Behavioral and Economic Sciences, and the Advisory Committee for the Computer and Information Science and Engineering Directorate. I was a consultant on Cyberinfrastructure for the NSF CISE and SBE Directorates for several years as well. I spent four months in Germany in spring/summer of 2005 at the Johann Wolfgang Goethe University in Frankfurt am Main, as Fulbright Distinguished Chair in American Sudies. This visit was supported by the German Fulbright Commission as well as the university. I was hosted by the Fachbereich Wirtschaftswissenschaften (the faculty of economnics and business) and the Institut fur Wirtschafts Informatik (institute for information systems), as well as the Center for North American Studies. I was elected a Fellow of the Association for Information Systems (AIS) in late 2005. 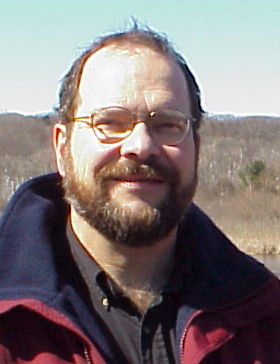 I was elected a Fellow of the American Association for the Advancement of Science in 2007. I received an honorary doctorate in economics and business from the Copenhagen Business School in 2009. Every Fall for the past few years I've taught SI 523, Information and Control. That is the only scheduled course I've been teaching. I was chair of the committee for PhD student Cory Knobel committee before he graduated in 2010 and took a position as an assistant professsor at the School of Information Sciences at the University of Pittsburgh, but he is in the process of moving to the Donald Bren School of Information and Computer Sciences at UC Irvine (where I used to be). I also was post-doctoral supervisor for Nick Berente for two years before he took a position as assistant professor in the Terry College of Business at the University of Georgia. Prior to that I was postdoctoral supervisor for Vladislav Fomin who is now on the Faculty of Informatics of Vytautus Magnus University in Kanaus, Lithuania. I've published about 200 things related to my research, which broadly considered concentrates on the relationship between technical change and social change, with the technical being information and communication technologies, and the social being institutions. Click here to get a sense of my research and a PDF version of my cv.